At around 10 a.m., festivities begin with the first event of the Tomatina. It is the “Location Mostly – Outside city The goal is to climb a greased pole with rope and grab the of Coif/CAP on top. At the time of arrival, before game gets start, the crowd works into a frenzy of singing and dancing and gets showered in water from hoses or lake. Once someone is able to grab the Coif/Cap off the pole, the start signal for the tomato fight is given by firing the water shot in the air and trucks make their entry. The signal for the onset is at about 11 when a loud shot rings out, and the chaos begins. Several trucks throw tomatoes in abundance in the Location. The tomatoes come from Asia largest tomato market. For the participants the use of goggles and gloves are recommended. The tomatoes must be crushed before being thrown so as to reduce the risk of injury. 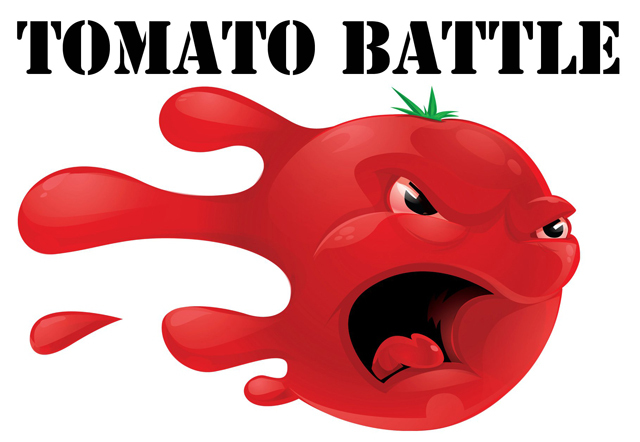 The estimated number of tomatoes used is around 150,000 or over 40 metric tons. After exactly one hour the fight ends with the firing of the second shot, announcing the end. The whole town square is colored red and rivers of tomato juice flow freely. Fire trucks hose down the streets and participants use hoses or lake that locals provide to remove the tomato paste from their bodies. Some participants go to the pool of DAM to wash. After the cleaning, the village cobblestone streets are pristine due to the acidity of the tomato disinfecting and thoroughly cleaning the surfaces.